Make your favorite Veggies easy to GRILL! 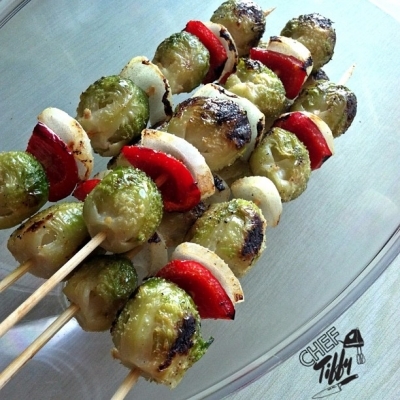 Place onto wooden skewers with Diced Red Peppers & Spanish Onions. Lightly sprinkle with Extra Virgin Olive Oil & a Dash of Garlic Powder & Black Pepper. Make these Kabobs more colorful by using different bell peppers!